Wondering what to pack for your first backpacking trip? 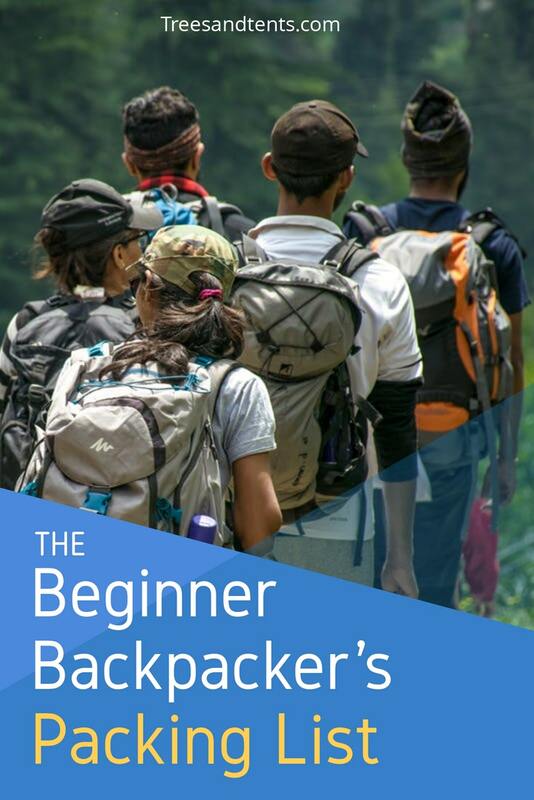 This basic packing list for beginner backpackers has the essential gear to make your first backpacking trip a success. Hiking and backpacking are two of my favorite things in the world. While I’ve always enjoyed hiking it took me a bit longer to get into backpacking. 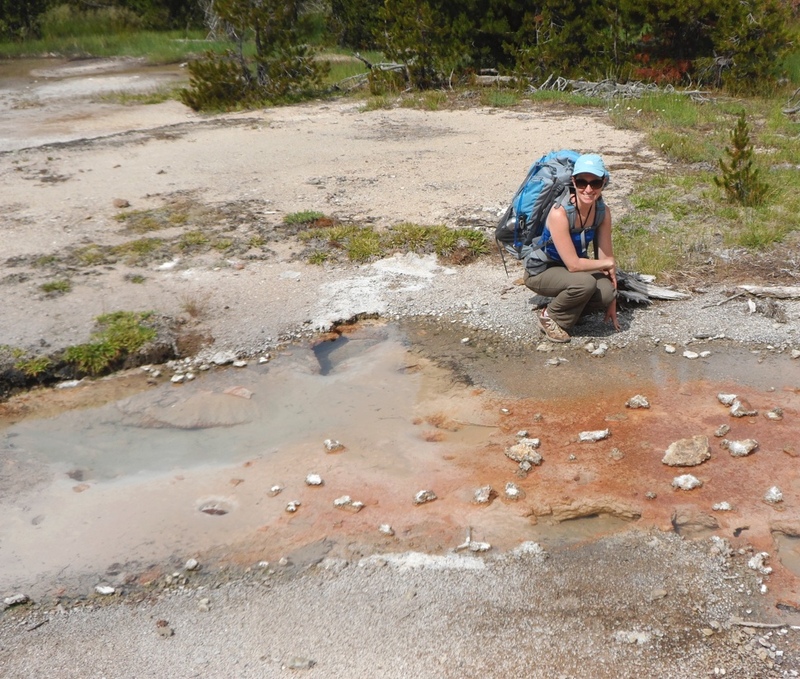 I resisted backpacking for a long time simply because I didn’t understand how it worked. I thought that backpacking involved carrying all of my car camping gear on my back- it sounded awful! I also wasn’t concerned about how heavy my pack was because I was only going out for one night. In preparation for my first backpacking trip I traded my large 6-person tent for a smaller, lighter 2-person Coleman tent. I bought a synthetic 20-degree mummy bag, and I borrowed a backpack, stove, and water filter. The rest of my gear I cobbled together from what I already had available. I used an inflatable swimming pool floaty for my sleeping pad, I brought a spoon and fork from my cutlery drawer, and a small flashlight (I didn’t know about headlamps yet!). For my first few backpacking trips this system worked for me. When my backpacking hobby turned into an obsession, and I started going on multi-day trips, I knew I had to upgrade my gear. But, there was so much backpacking gear to choose from! All the options were overwhelming! It took a lot of trial and error and tons of research before I felt confident in my gear choices. Choosing backpacking gear is a personal decision. The gear you choose depends on your budget, the area where you live (or where you’ll be doing most of your backpacking), and your personal preferences. For example, if you live somewhere where it is hot and humid and you plan to do a lot of backpacking in the summer you might opt to buy an uninsulated sleep pad and a light quilt. But, if you’re going to be doing a lot of backpacking in the shoulder seasons, or in higher elevations you should probably opt for a 20-degree sleeping bag and an insulated sleeping pad that will really help to keep you warm, like the Thermarest NeoAir XTherm. The same goes for your backpacking kitchen. If you like to cook a lot of fresh food in the backcountry you may choose to buy a lightweight pot and frying pan combo set and a small stove like the MSR pocket rocket. But, if you simply need to quickly boil water for two for a dehydrated boil-in-bag backpacking meal and a hot beverage you might want to consider the MSR Windburner. Choosing your shelter is also a very personal decision. A lot of people enjoy sleeping in hammocks. But, if you’re going to do a lot of backpacking in alpine forests, or want to work your way up to doing a long trail (like the John Muir Trail) a hammock set-up might not be the best investment. If you’re going to do a lot of solo backpacking you might want to consider buying a one-person tent instead of a larger 2 or 3-person tent. My go-to tent is the Big Agnes Fly Creek 1-person. It was a bit of an investment, but I’ve had the tent for 3 years, I’ve taken it on several long treks and it is still in great shape. In the beginning I bought a lot of gear that I ended up not using because I found that cheaper “hacks” worked just as well, or better than, the expensive, carefully engineered ultra-lightweight equipment. More importantly, I learned what equipment was worth the investment (tent, sleeping bag, sleeping pad, and backpack), what equipment can be shared (water filter, stove), and what equipment can be hacked, multi-purposed, or bought inexpensively (kitchen essentials, and water bottles). It is worth splurging on your tent (or hammock set-up), sleeping bag, and backpack because these are typically your heaviest and bulkiest items. Having a good tent that will stand up to the elements and a sleeping bag that will keep you sufficiently warm are also extremely important if you ever get into a survival situation. If you purchase quality gear (and take good care of your gear) it will last you for many years, making your investment worth the money. You can also choose to splurge on a sleeping pad (because getting a good night’s sleep is so worth it! ), but if you’re a person who can fall asleep anywhere and everywhere you can get away with a simple foam pad. The items on my packing list are the items that I now confidently carry with me every time I backpack. They are my go-to items that I’m a bit lost without. 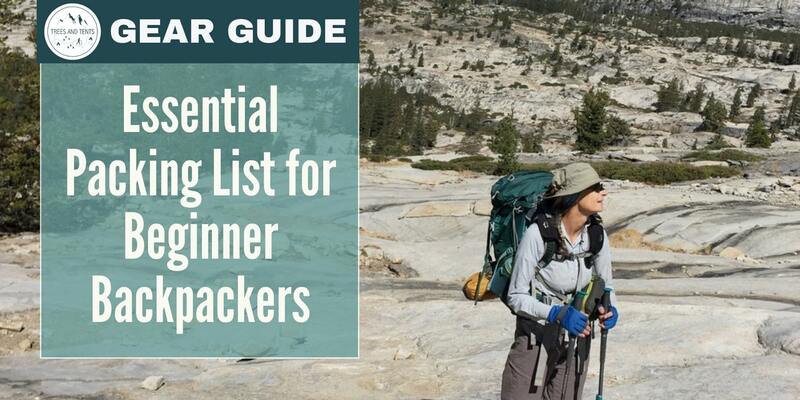 I’ve broken the list into four categories: hike, camp, eat, and what to wear. The hiking section contains items that I use when hiking into camp. Eat is everything related to my camp kitchen, and food and water needs. Camp has my shelter and sleep system along with other small essentials that I need to spend the night under the stars. Lastly, my what to wear section has info on what I wear hiking, what I wear to bed, and any extra layers that I bring with me. Bathroom bag with toilet paper, trowel, sanitary products, and hand sanitizer or sanitizing wipes. Bathing kit: bandanna, Dr. Bronners travel size soap, gallon-size Ziploc freezer bag. Appropriate number of meals (breakfast, lunch, dinner, and snacks) for your trip. Here’s what I have in my bag whether I’m backpacking for one day or 10 days. Rain protection: I pack a light rain jacket and rain pants because these can function as an additional warm layer if the temperatures drop unexpectedly, but a sturdy poncho works well too. 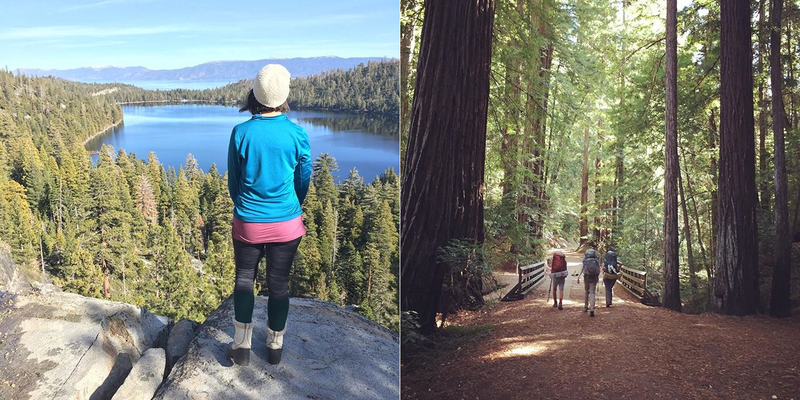 Hiking clothes: A high performance shirt that wicks sweat (I love Target’s athletic shirts! ), and a pair of hiking pants or leggings. Lightweight fleece for hiking out of camp on chilly mornings (I have a Columbia pullover fleece with a large front pocket and a hood that I love!). One set of camp/sleep clothes: I prefer long johns because they are comfortable and they keep me warm at night. Hiking boots or sturdy footwear with good tread. What do you have on your gear list? Have you developed any hacks to multi-purpose or replace expensive gear? 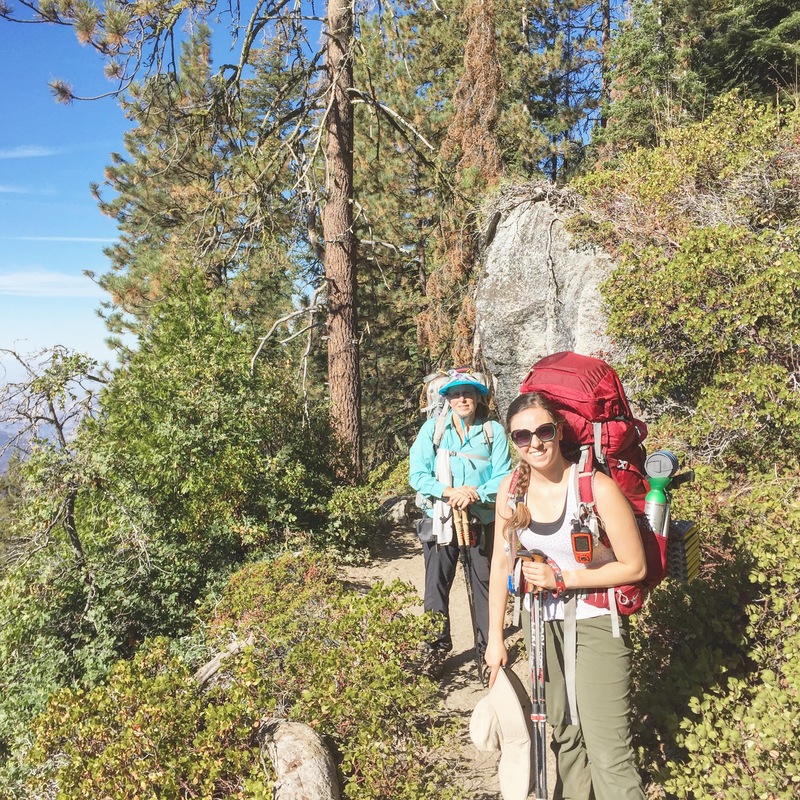 Join our private Facebook group for women who are new to backpacking or backcountry adventures and share your gear list or learn more about backpacking and backcountry adventures. Come say hello!